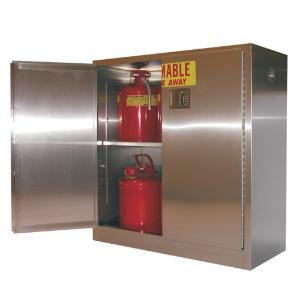 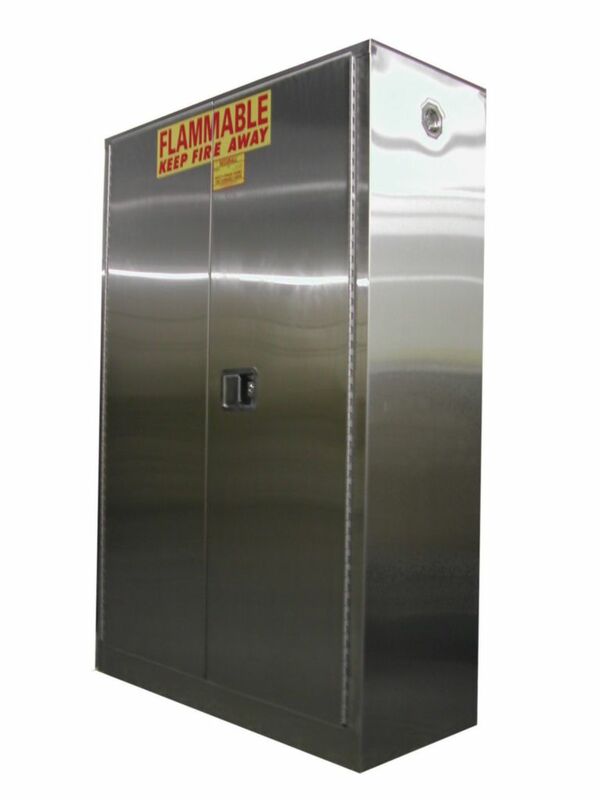 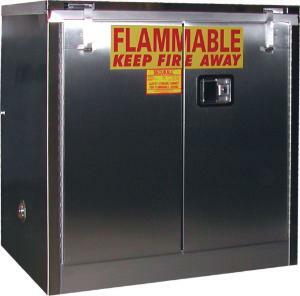 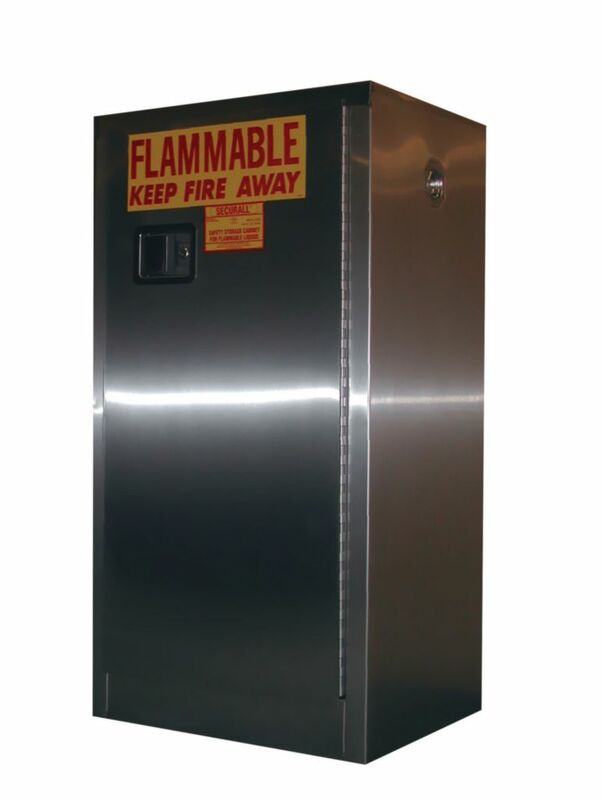 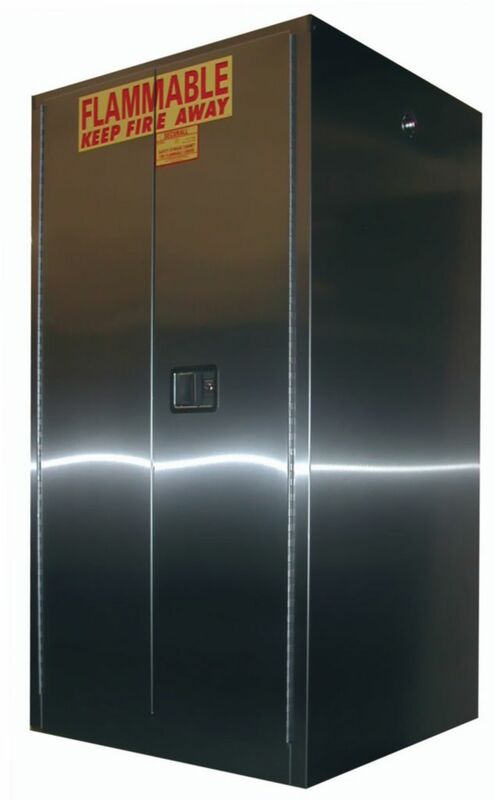 Durable (18-gauge) 304 brushed stainless steel cabinets are equipped with adjustable shelves, flush mounted stainless steel locking handle and vents. 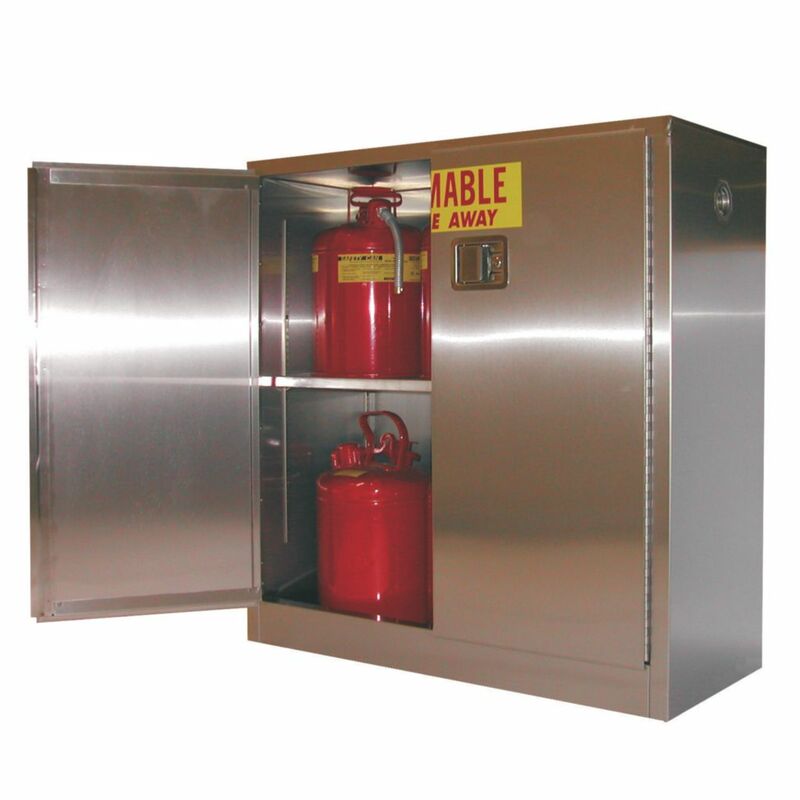 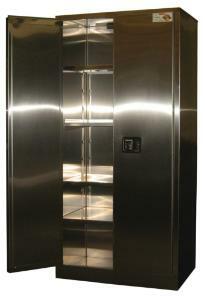 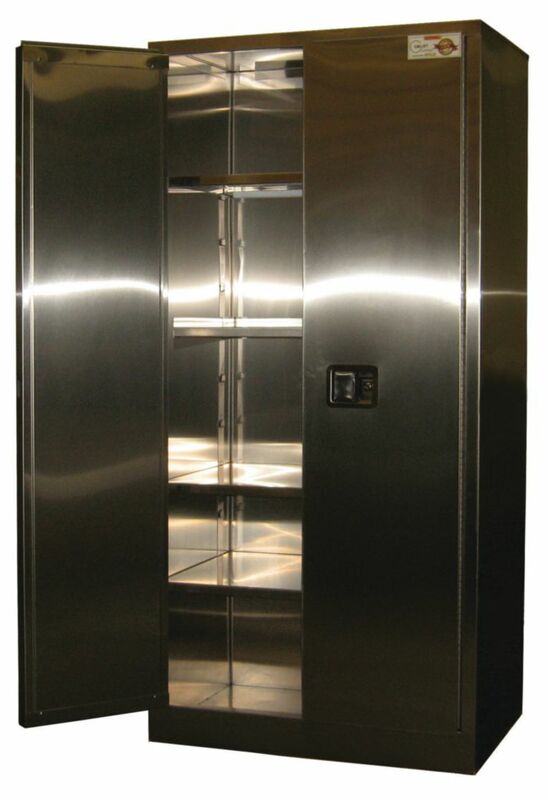 Cabinets are also equipped with four adjustable, stainless steel legs and heavy gauge, stainless steel piano hinges. 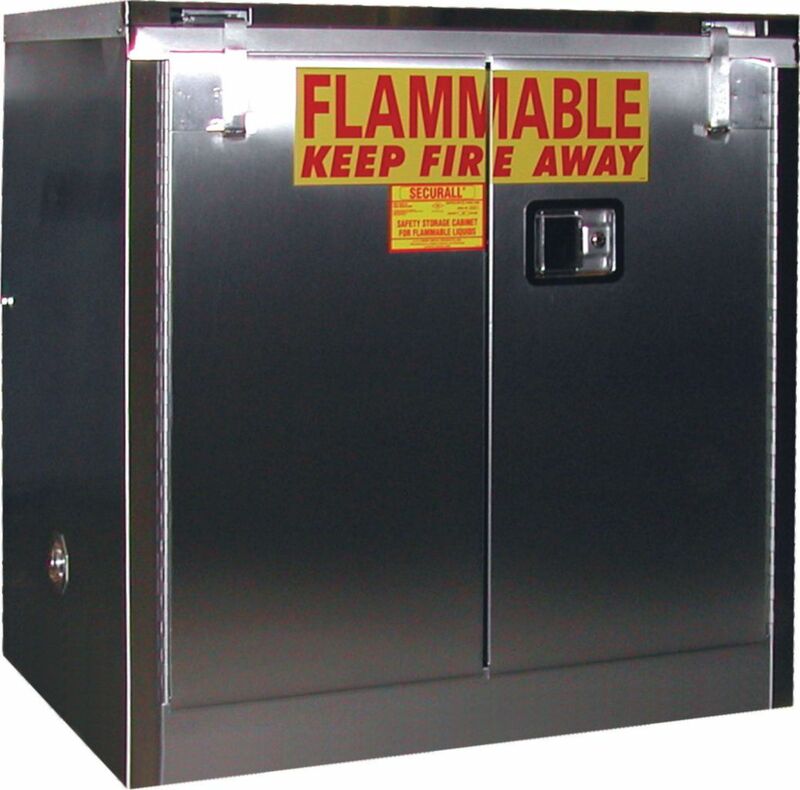 Certifications: SMaRT Certified; Meets OSHA, NFPA 30, and FM Approved.